Does an NFL team need an Aaron Rodgers, Tom Brady or Eli Manning to play for a conference championship? In week 6, Philip Rivers threw for 500+ yards and 0 interceptions, but the Chargers lost to the Green Bay Packers, leaving the Chargers with a record of 2-4 and 3rd in the AFC West. Peyton Manning, on the other hand, has thrown more interceptions (10) than TD’s (7). But the Denver Broncos are 6-0 for the season and first in the AFC West. Joining the Denver Broncos in a, thus far, undefeated season are the New England Patriots (5-0), Cincinnati Bengals (6-0), the Green Bay Packers (6-0) and the Carolina Panthers (5-0). Surprised? How long can the Denver Broncos continue this unbelievable streak with a less than stellar performance from Peyton Manning. Logically, the perfect equation for a winning team would be a combined effort on both offense and defense. The offense doesn’t need to put up 30+ points to win, but the defense does need to prevent the opposing team from scoring more than their offense – which is how the Broncos have been so successful. The Broncos defense currently leads the league in sacks (26) for the season with Green Bay (23), New England (19), Cincinnati (17) and Carolina (13) following. The Broncos defense are also second in interceptions (9), just behind the Arizona Cardinals (11) – Green Bay (8) and Carolina (8) are also among the top of the league. In week 6, the AFC South has yet to work-out the equation, but some may be on their way. They both don the #12. There is a twelve-year age difference between them. And, a division-like rivalry. In week 6, the accusers and accused of deflategate met on the field for redemption. The Indianapolis Colts quarterback, Andrew Luck, was back in the game after a two-week absence, due to a right shoulder injury, to get revenge for the devastating 2014 Conference Championship loss (7-45) against the Patriots. 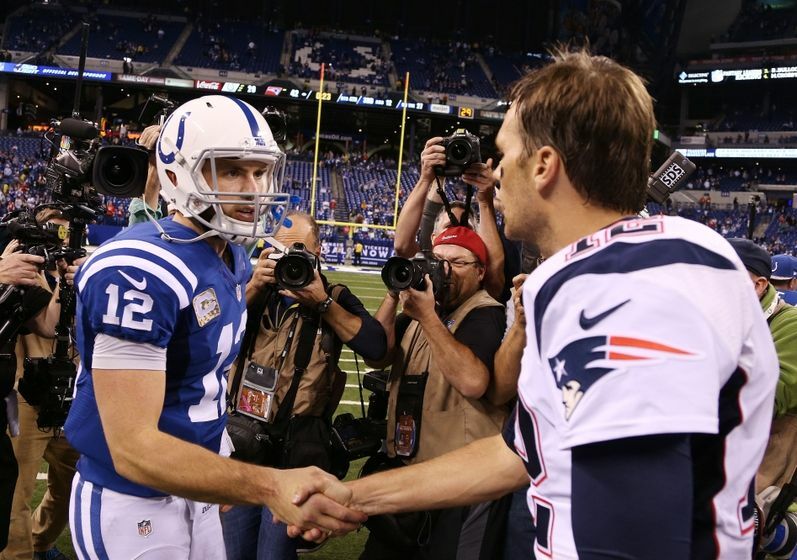 Everyone expected a blowout, the Colts made certain the Patriots didn’t get one in week 6. Although the Colts lost to the Patriots, Andrew Luck showed to be back in form. Except for the head scratching would-be trick play, the Colts looked to be in top form against the Patriots. In their opening drive, Colts fans finally got to see the team they love, playing the game they love to watch as Luck threw 8 completed passes, moving the ball downfield, finishing the drive with a TD pass to Donte Moncrief. There was no one superstar in Sunday’s game as Luck hit 10 receivers throughout the four quarters. The two weeks on the sideline seemed to have benefited the Colts starting quarterback. There seemed to be a mile of difference in Luck’s performance between the first three weeks of the season as Luck tried to force plays, throwing 7 interceptions, and week 6, where Luck threw for 312 passing yards, 3 TD’s and no interceptions. Luck seemed to have taken a page from watching back-up quarterback, Matt Hasselback, as he won his two starting games against divisional rivals, running the offense without throwing an interception or forcing the ball downfield. Looking ahead, the Colts will need to win against teams other than divisional rivals to enter the post season, but if Luck continues to play like he did in week 6, the post-season should be within reach. The Houston Texans…win? 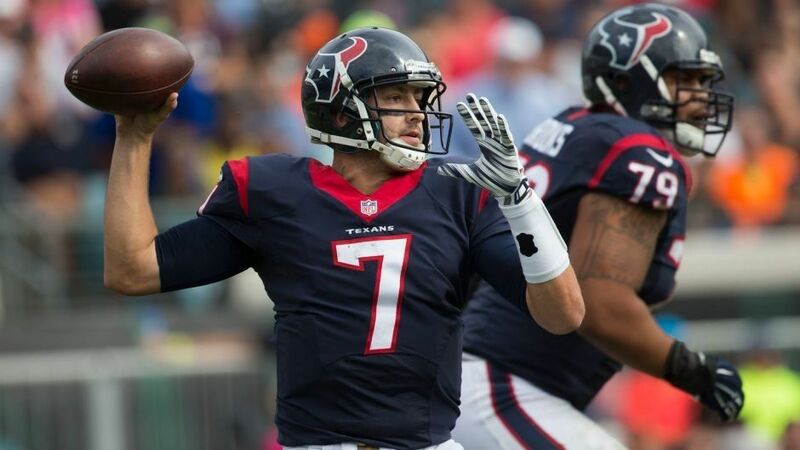 The Houston Texans were in rare form with Hoyer starting behind center for week 6. Hoyer bounced back after a hard hit, sitting out for one play and returning. In the first quarter, on 3rd and 7, Hoyer connected with Arian Foster for a touchdown. The Texans were stalled for the next two quarters, scoring only a field goal in the second quarter. Hoyer threw for 293 passing yards to seven receivers, threw 3 TD passes on third down and had 0 interceptions. Looking ahead, the Texans finished strong for the first time in the 2015 season. Hoyer looked comfortable and confident behind center, keeping the game close and refusing to give-up. It’s doubtful that the Texans will make it to the post-season, but anything is possible for this rag-tag team of misfits. The Jaguars…A work in progress. Early into the fourth quarter, the Jaguars led 14-10 against the Texans. But in a matter of four minutes, the tides turned against the Jaguars 14-31. How did it happen? The Jaguars defense, who managed to cover Hoyer’s favorite target, DeAndre Hopkins, for most of the game allowed Hopkins to score 2 TD’s in the fourth quarter. Bortles threw three interceptions on Sunday’s game, one was returned for a defensive touch down by defensive back, Andre Hal. Missed opportunities have lead this team to close losses in the last three games, leaving the Jaguars 1-5 for the season. A weak secondary, even with corner back Davon House, a struggling pass rush, lacking consistent pressure on fourth down lineman, and a struggling defensive front have contributed to this team’s current record. However, don’t count this young team out just yet, it might not look like it, but they are improving with each game. 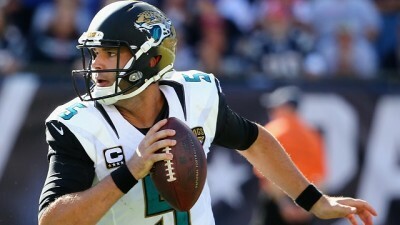 Blake Bortles passed for 331 passing yards, 3 TD’s and had 3 interceptions, totaling 7 for the season. 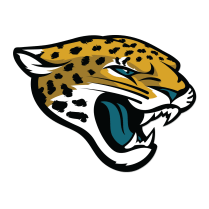 Looking ahead, the Jaguars probably didn’t expect to make it to the post-season working with a young team, but they probably didn’t expect a 1-5 start to the season. Don’t worry, they can only get better as they learn to work together. Marcus Mariota suffered a MCL sprain in Sunday’s game against the Dolphins from a low hit by defensive end Olivier Vernon. Mariota later said that Vernon did apologize, having no malicious intent in the tackle. A reputation of a dirty player is the last thing the Dolphins need. #Dolphins DE Olivier Vernon said his low hit on #Titans rookie quarterback Marcus Mariota wasn't intentional and he's not a dirty player. But, Mariota and the Titans had problems before the late hit to Mariota’s knee. Mariota had no protection on the line, giving up 5 sacks, and totaling 20 sacks over five games. 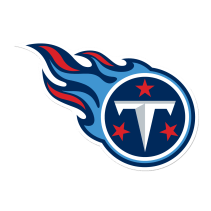 The Dolphins, who are among the teams that allowed the most rushing yards per game, were able to shut down the Titans running game, allowing only 63 yards and no TD’s. At no point in this game was there even an illusion that the Titans could win the game, eventually ending in a disappointing loss at home. With Miami’s new interim head coach Dan Campbell, the Dolphins looked like a new team resurrected from the ashes of football mediocrity. The changes to the Dolphins offense/defense included using the run game, a simplified defense, changes in the front offensive line and a change in the wide receiver snap distribution. Whatever the Dolphins did was successful in week 6. It was unfortunate for the Titans that they were on the receiving end. Field goal, fumble, fumble, punt…were the Titan’s four drives during the first half of Sunday’s game. Far underwhelming compared to the Dolphins 17 points. The Titans were just not prepared for the Dolphins, and probably any team in the NFL, from their performance in the last few outings. Looking ahead, the Titan’s don’t necessarily have a quarterback problem, they have a cohesiveness problem. A rookie quarterback, a collapsing offensive front line and an uncertain defense all add to the problem. Let’s hope they get it together by 2016.